Send your work out for review without leaving your favourite Adobe creative tools: InDesign, InCopy, Photoshop, Illustrator & Premiere Pro. The PageProof add-on is fully compatible with Adobe CC 2018 and higher. Head here to download the add-on. Note: You must have file syncing turned on in your Creative Cloud desktop app. Tip: If you have issues installing the add-on, please use the instructions here to install the add-on manually. Login using your PageProof account and now you are ready to create new proofs and versions directly from within your Adobe creative tools. Highlight InDesign CC from the left sidebar. 5. Get the PageProofCC.zxp.zip file and unzip it. 6. 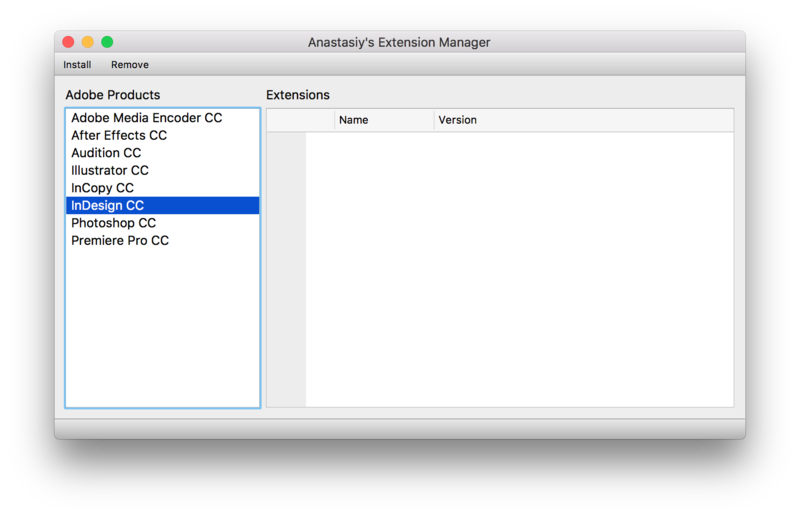 Drag/drop the zxp file (not the zip file) into the right side of Extension Manager. It will install for all supported Adobe CC apps. You can now open your Adobe CC apps and send proofs and new versions to PageProof.